Castrol®, one of the world's leading lubricant brands for over 100 years, has a proud heritage of innovation and fuelling the dreams of pioneers. Castrol's passion for performance has enabled it to develop oils that have been at the heart of numerous technological feats on land, air, sea and space. 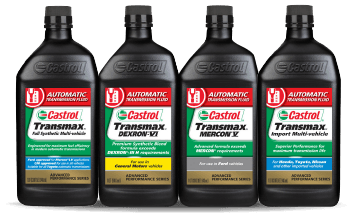 Castrol proudly provides technically superior motor oils and specialty lubricants for your vehicle and motorcycle. Learn more about Castrol’s technologically advanced motor oils for the protection you need and the performance you deserve.